With Thanksgiving coming up, Black Friday right after, and big gift-giving holidays such as Hanukkah and Christmas looming right around the corner, the holiday season has officially begun. Every year, in what’s probably one of the biggest contradictions in modern American culture, millions of people across the country gather together to celebrate everything they’re already thankful for, only to spend billions of dollars on materialistic matters over the next few days. Enticed by the jaw-dropping discounts advertised in storefronts and plastered all over the internet, it’s easy to see why so many are swept up in the holiday craze. 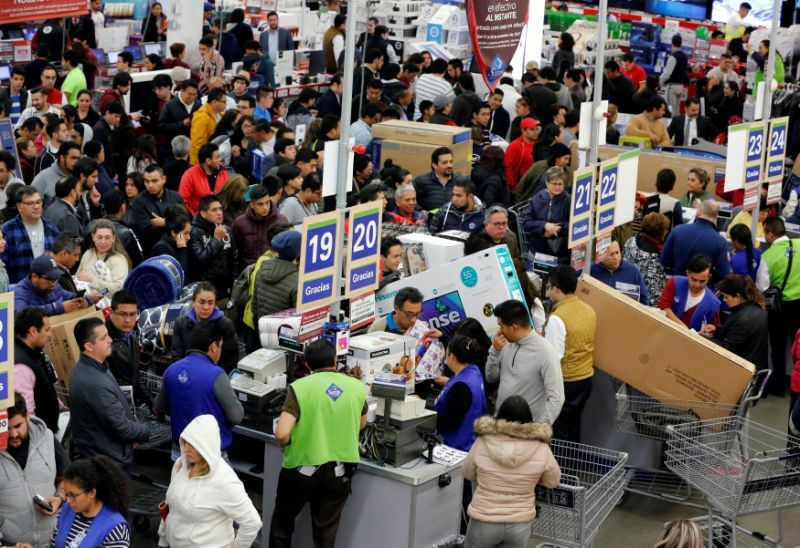 Even though online shopping has decreased some of the Black Friday insanity, deals are still easy to find and many people stick to their traditional post-Thanksgiving shopping sprees, whether indulging in person or over the internet. Recognizing this, it’s important to remember that the holidays are not equally celebratory for everyone, even in states with greater per capita incomes. Even in some of the wealthiest regions of the country, poverty is a reality for millions. The bright side is that many generous people that give back to those less fortunate, especially around the holiday season, and many with children and teenagers in mind. One of the best ways to make someone else’s holiday a little merrier is through volunteering, and with millions of Americans suffering from food insecurity, food banks are some of the best places to volunteer. Feeding America is one organization that works to both educate people on the issues and promote volunteer work through their nationwide system of food banks. They even have a feature on their website called “Find Your Local Food Bank” where people can use states or zip codes to find the food banks closest to them. Another method is through donating toys. Toys for Tots is a U.S. Marine Corps Reserve program that collects and then distributes toys to less fortunate children in all 50 states, Puerto Rico, and the Virgin Islands. With donation boxes in over 800 communities, the Toys for Tots website has a “Find Your Local Campaign” page which allows people to locate a nearby campaign through a state search or using a map. Toy collection can start as early as October and typically ends somewhere from the beginning to middle of December, with distribution beginning around mid-December. Besides toys, items such as clothes, electronics, household objects, and books also make great donations. Some programs even accept furniture. Most organizations that accept clothing don’t mind if it’s gently used, which can even help make room for new holiday presents. While these things may not fit the standards of traditional gifts, they can make big differences in some people’s lives. Among others, the American Red Cross, Vietnam Veterans of America, Salvation Army, Dress for Success, Savers, and Goodwill organizations have an abundance of information on their websites regarding how or where to make donations. Between all the hurricanes of the past year and the wildfires currently burning through California, it’s not just the impoverished who could use a little extra holiday cheer. Thanksgiving can sometimes get swept under the rug as Black Friday and Cyber Monday rapidly lead into Hanukkah and Christmas, but the holiday’s celebration of giving thanks remains important. In many cases, it can even be more satisfying to donate rather than to receive gifts, especially for those fortunate enough to have consistently joyful holiday seasons.